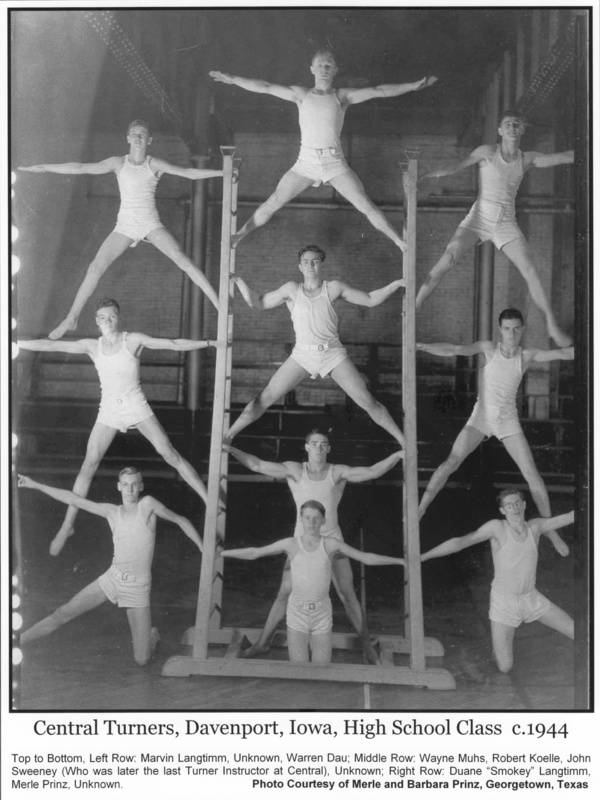 Boys gymnastic team, Central Turner Society, Davenport, c. 1944. My dad was Warren Dau (bottom left). He was really into the Turners in his early years.